Handmade crochet round cotton doily centre called 'Spiked Wheel' - made by me; with a beautiful array of cotton tassels in dark grey, teal and cream, as well as glasss and acrylic beads, and a central strand of glass and acrylic beads with silver feather charms. 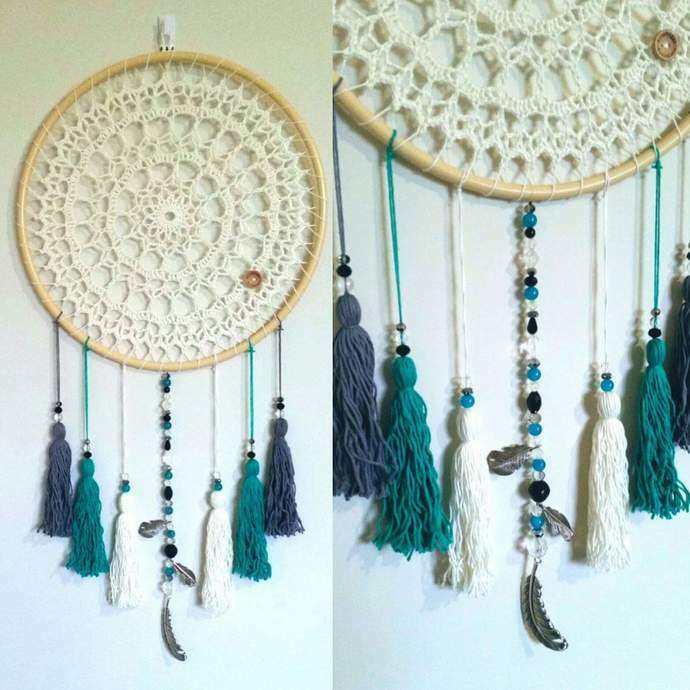 The dreamcatcher can be hung by either the loop or the hoop. Strung on a 35cm hoop and has a length from hanging loop to bottom of bead strand is approximately 71cm. 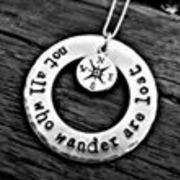 Ask me about my many other designs that are available!